American's family farms have prduced fruit, vegetables, grain, dairy products, meat, poultry, eggs, honey, cotton, wool and too many other products to list, for more than 300 years. In fact, farming goes back to the native Americans who were raising crops before the first colonists arrive. 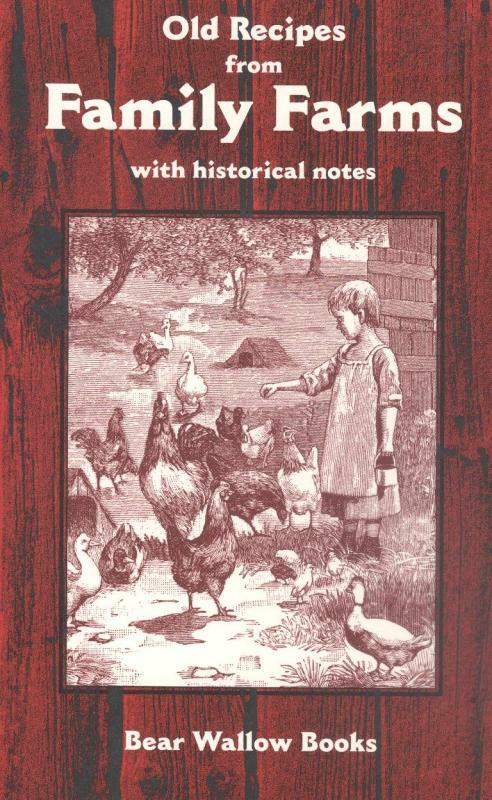 This book starts in the days when most people were farmers, with glimpses into the lives of farm families who lived between colonial days and the 1930's. The 71 recipes come from the same time span, and include everyday foods such as Beef Stew, Black Bean Soup, Chicken Pie, Sunshine Salad, Country Baked Beans and Apple Fritters. Some regional favorites also are included. Try Southern Biscuits and Peanut Pie, Southwestern Cornbread, New England Fish Chowder, western Apricot Bread. Recipes for Chicken and Corn Soup and Butterscotch Cake came from the mid-west, as did Pumpkin Butter, a delicious topping for homemade Oatmeal Bread. Booklet, c2004, 32 p. : ill. ; 14 cm.